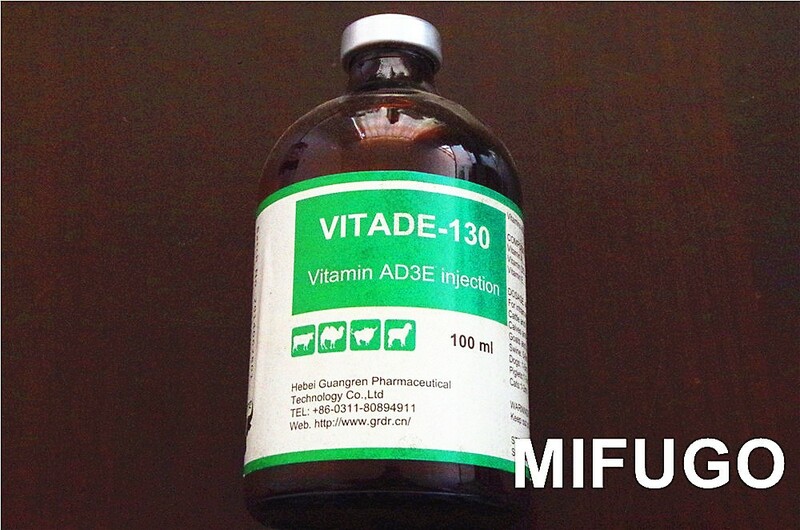 Vitamin AD3E Injection can be used in early chick mortality, prevention of stress, vitamin A, D, E, K deficiency .during coccidiosis, in poor growth rate. It improves hatchability, egg production, growth rate and resistance of disease. Treatment and prevention of vitamin deficiencies in farm animals, such as growth disturbances, weakness of new-born animals, neonatal anemia, sight disturbances, intestinal troubles, convalescence, anorexia, not-infectious reproductive disturbances, recites, muscle weakness, muscular tremor and myocardial failure with difficulties in breathing worm infections. Storage Store below25 protect from heat and light.